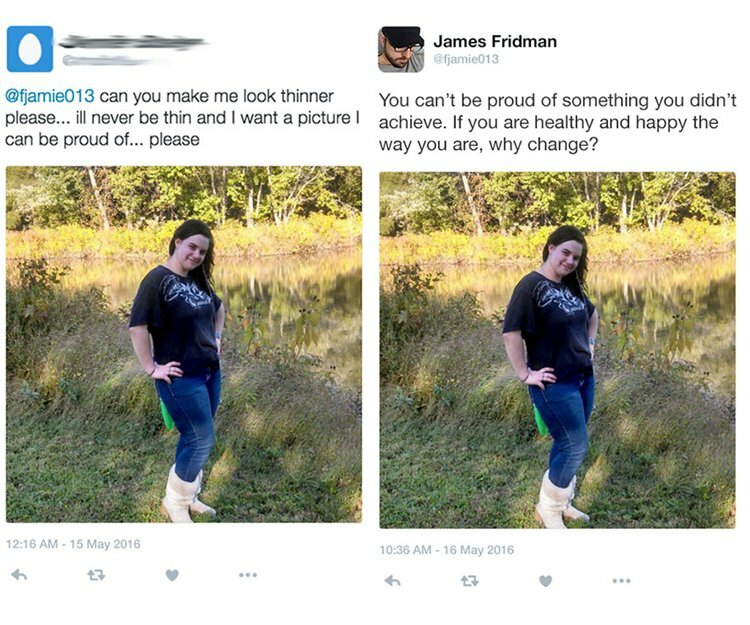 We all know about the power of Photoshop in the right hands, but most of us don't possess photo manipulation skills. 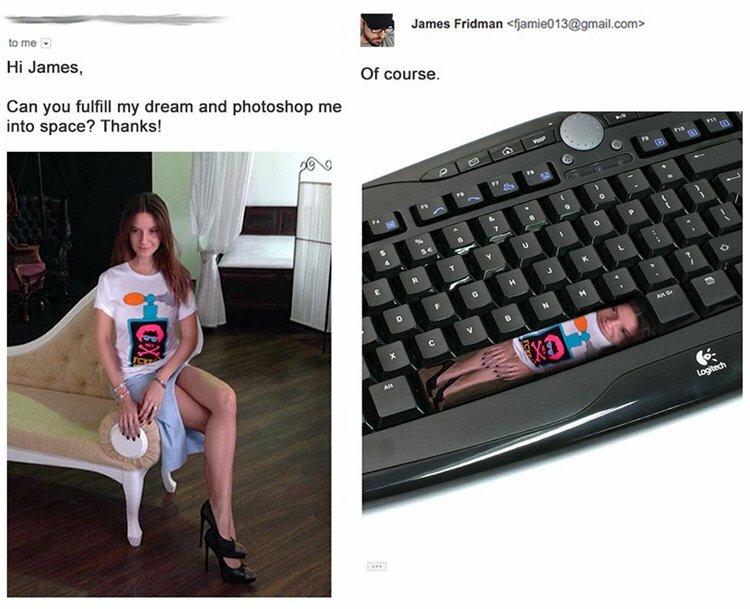 There are, however, some people out there who take on Photoshop requests just for fun. 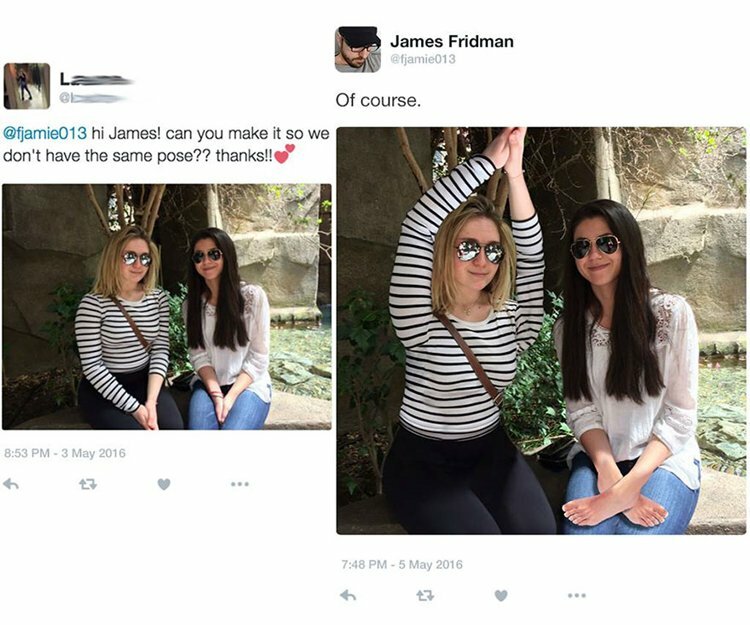 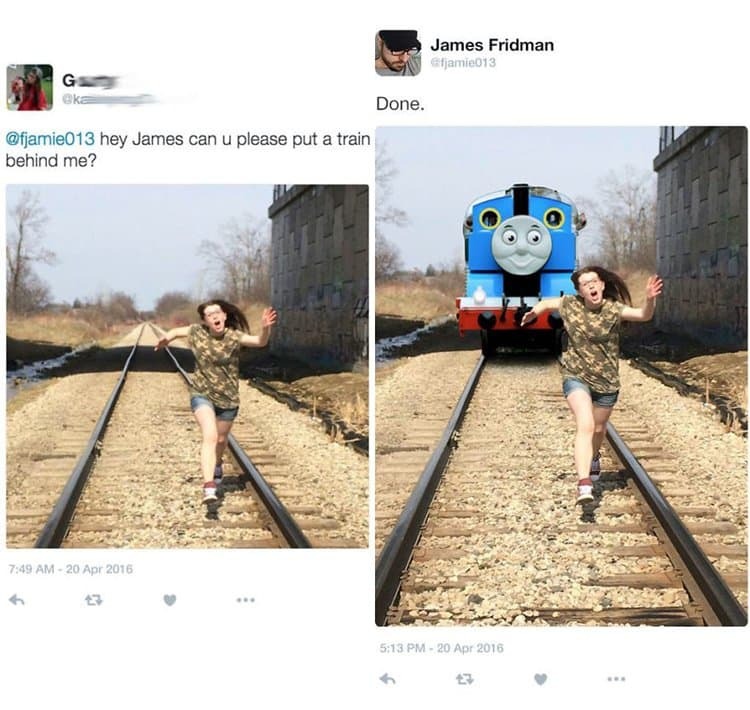 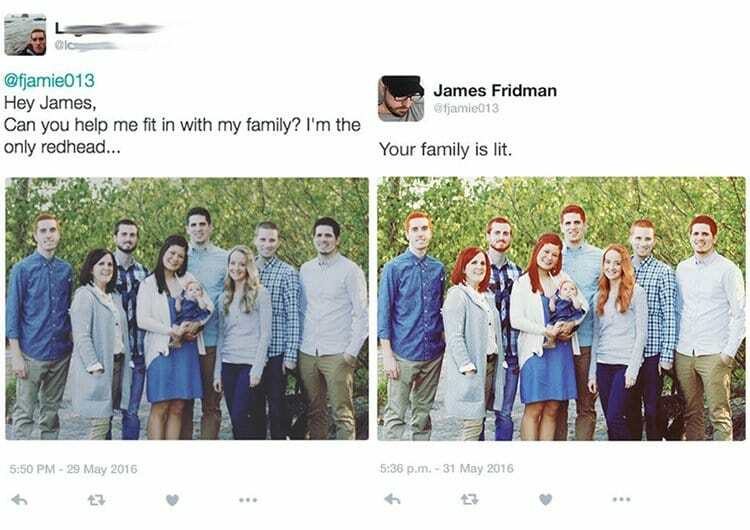 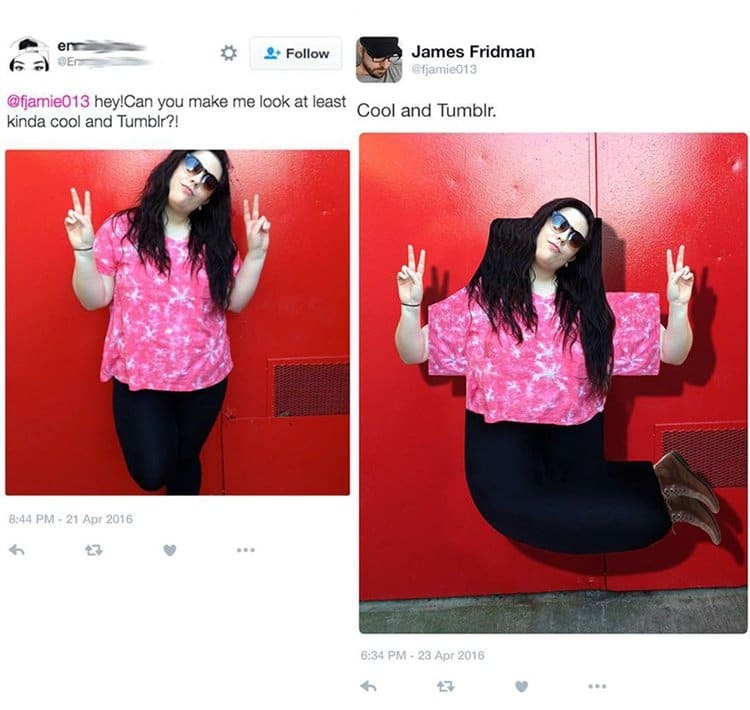 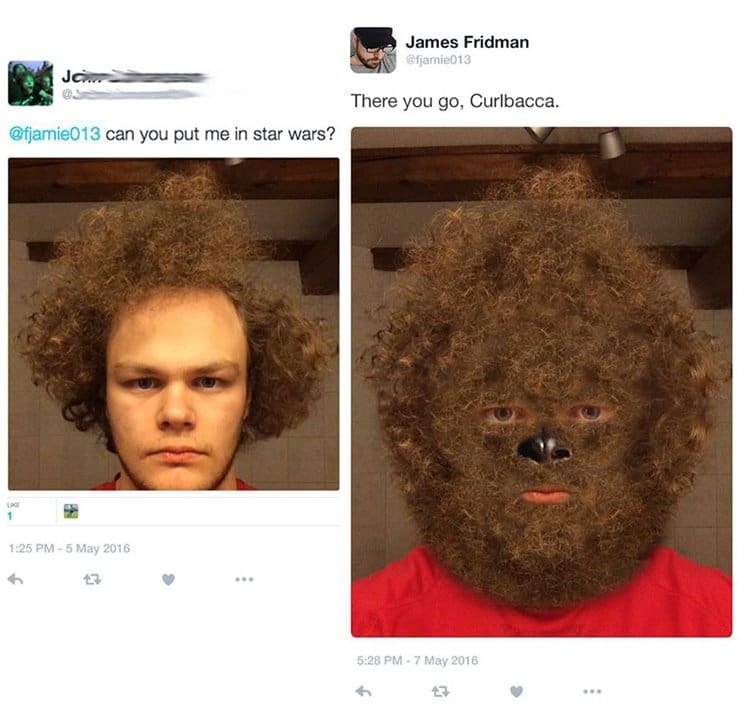 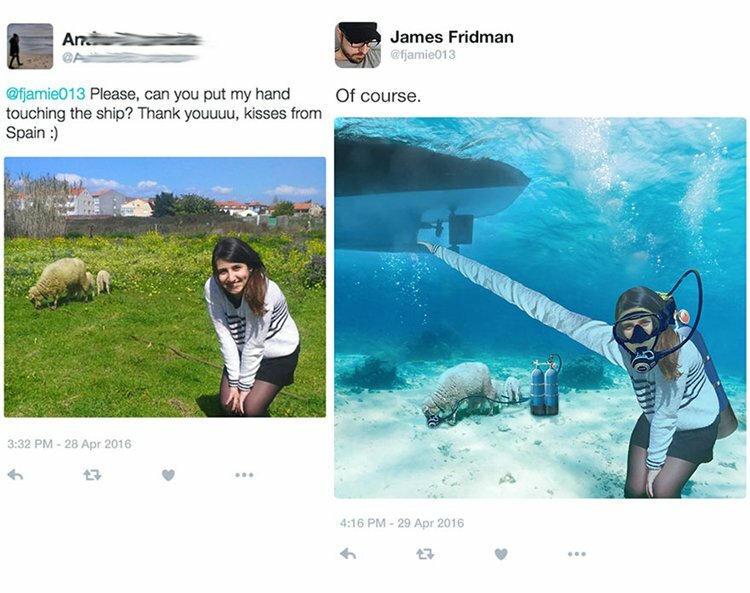 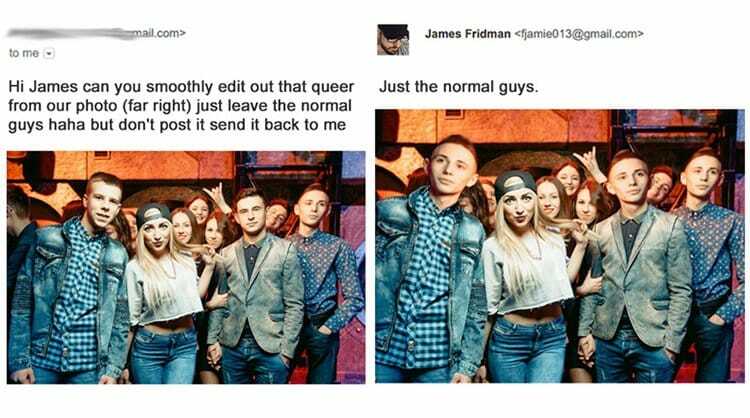 James Fridman is one of those people, but he has a tendency to take the requests people send him a little too literally! 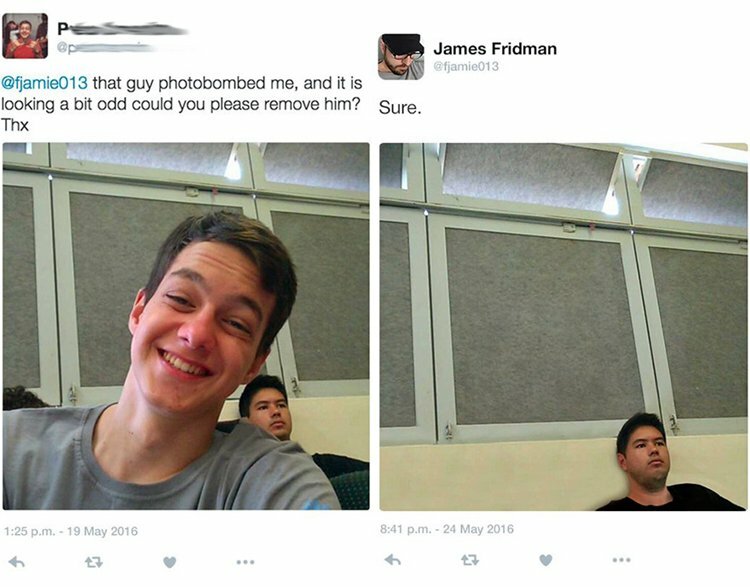 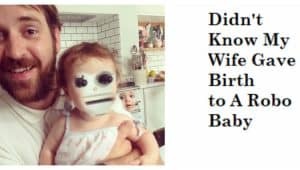 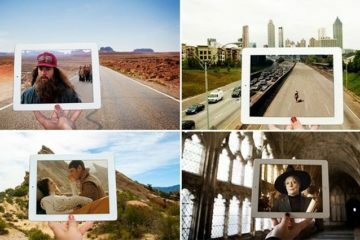 Some of his photo edits are absolutely hilarious, a few of them are a bit mean (though usually well-deserved), and some of them are plain heart-warming. 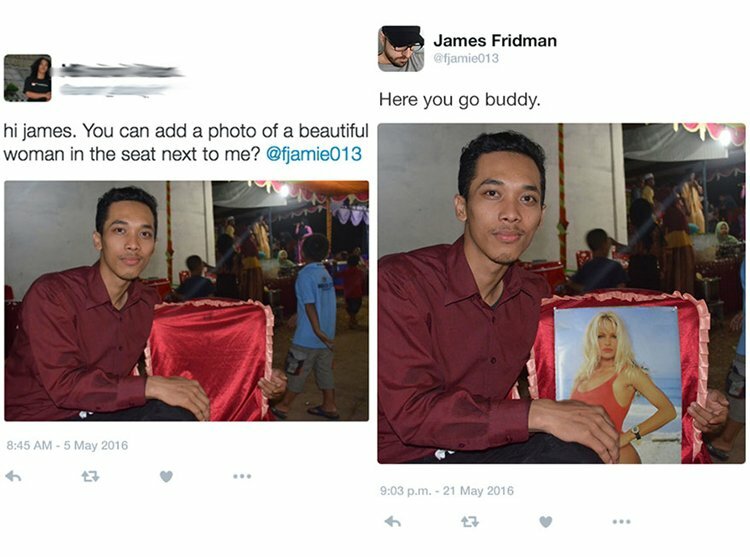 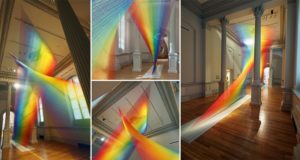 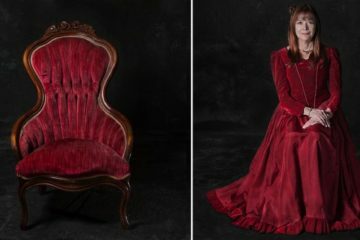 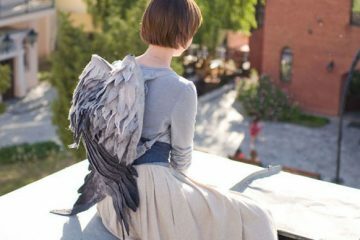 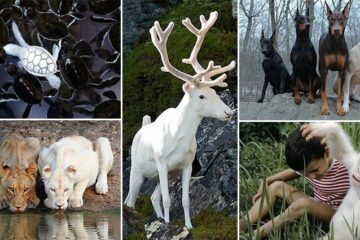 Check out these thirteen Photoshop requests fulfilled in an awesome manner! 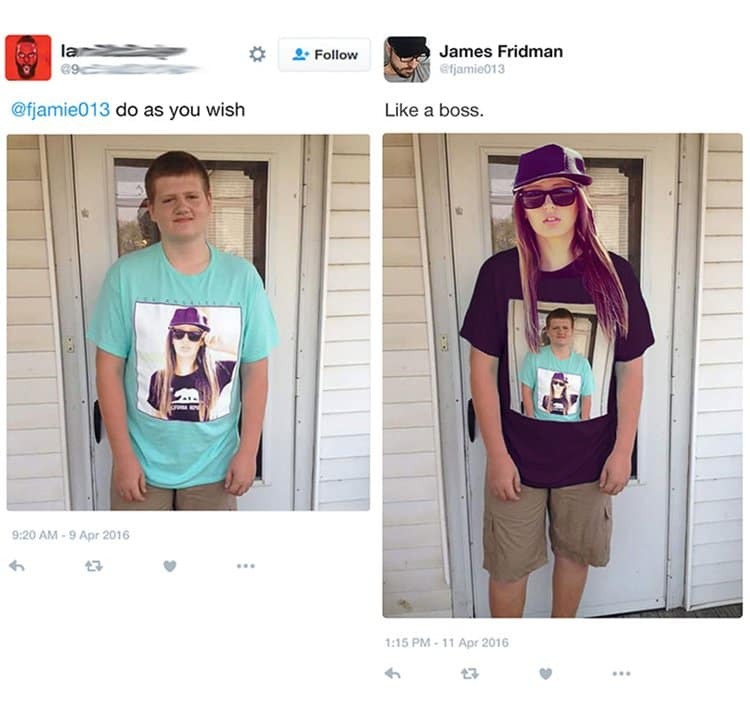 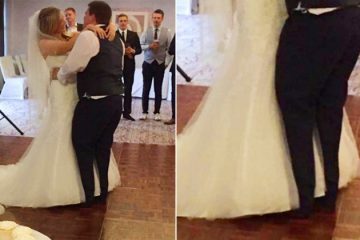 Click below to see more Photoshop requests!